Happy 1st Anniversary Chadwick's Craft Spirits!!! One year ago today, these pictures were taken at the Village General Store in Pittston, Maine and Goggin's IGA in Randolph, Maine. It marked the beginning of a super, successful year in the making and the day that Lynn Chadwick's dream came true. 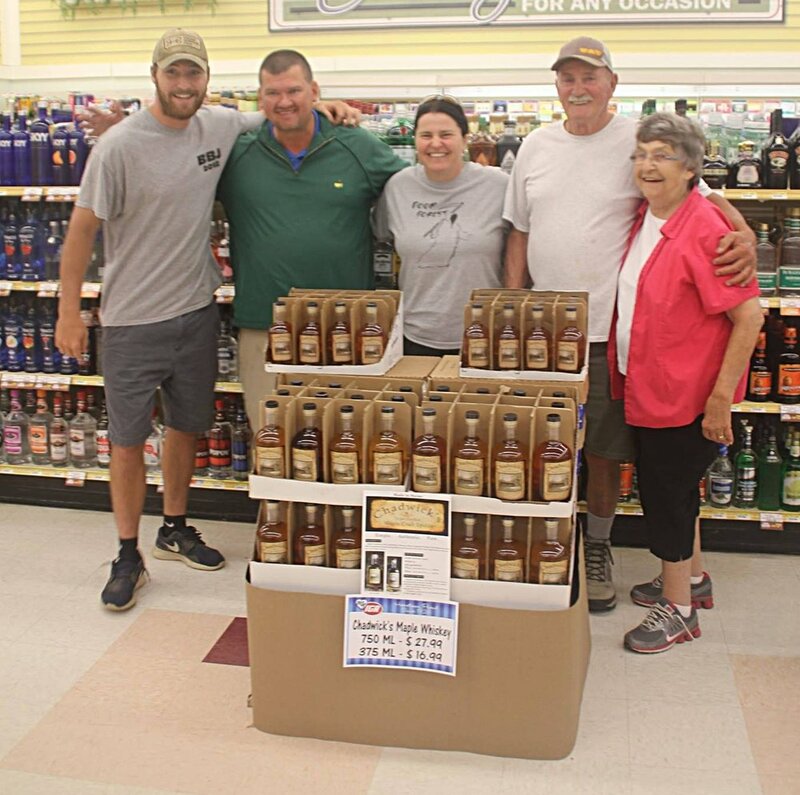 On July 21, 2016, Chadwick's Maple Craft Spirits was officially put on the shelves in Maine. Our success would never have been possible without the support of our family, friends, neighbors, and the many many Maine businesses that put our product on their shelves. Thank you from the bottom of our hearts for all your support!